Click here for technical help with a webcast. Is there a cost to view a UWEBC webcast? How do I access the link to view the webcast? I need to cancel or change my registration to onsite. Who do I contact? Can I submit a question to the presenter? What will the webcast be like? Can I view the webcast or share the webcast link with my colleagues? What UWEBC events are offered as a webcast? I need technical help with a webcast. Where can I find resources? Is there a cost to view a UWEBC webcast?All webcast events are free of charge for all employees of member companies. How do I access the link to view the webcast? You will receive a confirmation email that includes the helpful event details, an agenda denoting which portions of the day are being webcast, and the webcast link one week prior to the event. If you are within one week of the event and have not received a confirmation email, please email UWEBCevents@wisc.edu. I need to cancel or change my registration to onsite. Who do I contact? Please email UWEBCevents@wisc.edu with your cancellation or registration change. Please note our in-person events do fill up, but we’ll do our best to accommodate you. Can I submit a question to the presenter? The webcast is not interactive. Attending in person is more interactive as it provides you with the opportunity to ask questions, participate in break-out discussions, and take advantage of networking opportunities. Please email UWEBCevents@wisc.edu if you would like to change your registration to on-site. What will the webcast be like? Registering for a webcast allows you to view the live presentations and hear questions asked by onsite attendees. The event agenda denotes the portions of the event that will be webcast. Can I view the webcast or share the webcast link with my colleagues? All employees of member companies are welcome to view the webcast. Please email the names of anyone viewing the webcast with you or you share the link with to UWEBCevents@wisc.edu, so they also receive the post-meeting materials. What post-meeting materials will I receive? A few days after the event, you will receive an email with links to PDFs and video recordings of the presentations. Please email the names of anyone viewing the webcast with you to UWEBCevents@wisc.edu, so they also receive the post-meeting materials. When you log into uwebc.wisc.edu, you can access all past meeting assets, including PDFs, Mediasite videos and additional resources. Or, check out your Peer Group's Digests. What UWEBC events are offered as a webcast? The majority of our Peer Group meetings are offered as a webcast, but there are instances where we are not able to offer this option. Our SIG meetings and Executive Retreats are not webcast. Please refer to the upcoming UWEBC Events List on our website to determine if a webcast is available. I need technical help with a webcast. Where can I find resources? Please see below for technical help. 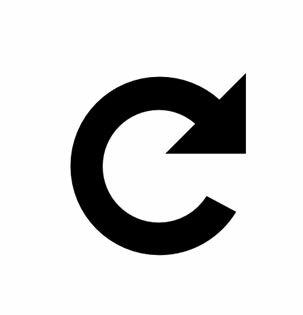 Clicking the reload arrow ( ). Typing Ctrl + R (for Windows computers). Typing Command + R (Mac). Ensure your volume is turned up.Your computer may have multiple volume controls. Check your computer's system volume as well as the volume within your application or browser and the volume in the Mediasite window. Double-check you have web access. If your computer is connected to the Internet using an ethernet cord, double-check that the cord is securely plugged into your computer and the data port. You will also probably see one of the following icons in your system tray: (for Windows) or (for Mac). If you are using wireless Internet, make sure your connection is strong. You will probably see one of the following icons in your system tray: (for Windows) or (for Mac). Note: Your IT support team may have to install these programs for you. Contact the UWEBC for help. Please email UWEBCevents@wisc.edu with a detailed description of your problem and any screenshots, if applicable. A member of our team will get back to you as soon as possible.